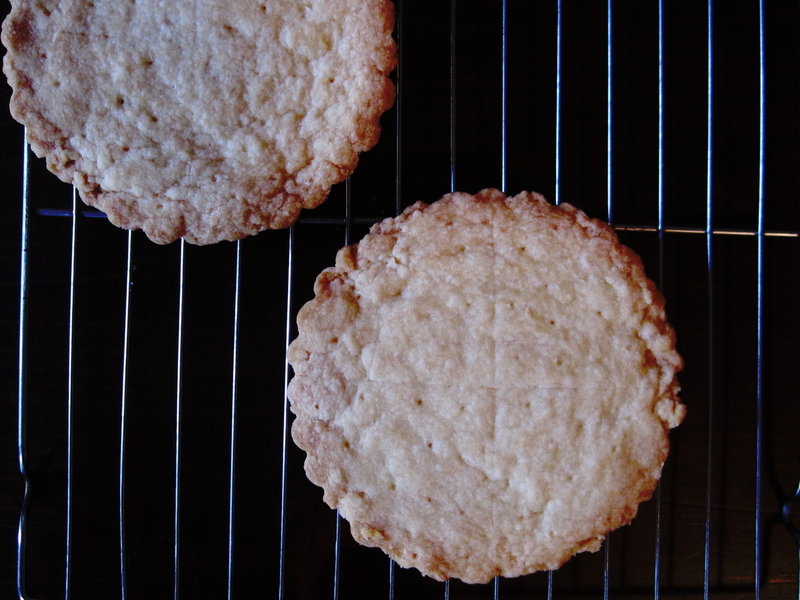 Shortbreads baked in small tart pans. Eating something while reading about it. I love nibbling on my homemade shortbread while reading about English treats. Actually, my 1969 Time-Life cookbook, The Cooking of the British Isles, features chapters on cheeses, game, beef, puddings and more, and has taken me through weeks of mealtime reading. Adopting a new favorite breakfast treat from time to time. Right now it’s a version of an Orange Creamy (remember those from the ice cream man? ): a navel orange peeled and sectioned and put in a bowl with a couple of dollops of Stonyfield low-fat vanilla yogurt. Gosh, it’s so good. Whenever J.K. Rowling’s Harry Potter had a run-in with (literally) life-sucking Dementors, a few bites of chocolate was the panacea to help clear his head. I took a page from those hallowed books on the five-year anniversary of 9/11 and made brownies to share with the women I worked with. The Muggle (non-wizarding) world of ours has plenty of Dementors of its own, and they were with us in spades that day. The chocolate really did help. What do you eat, and how, and when? *Not a quote from Jerry Seinfeld. But it could be. **Yeah, okay, the spirit is usually about chocolate.